Why are Truck Brake Failure Cases so Common in Tractor Trailer or Truck Accidents? Our Syracuse tractor trailer and truck accident lawyers know that many tractor trailer and commercial truck accident cases are caused by brake failure. In fact, it is estimated that 30% of commercial truck crashes are due at least in part to brake deficiencies or failures. Why is this so for trucks whereas brake failure is rarely a cause of car accidents? The answer lies in the nature of the braking system on a commercial trucks and tractor trailers. Car brakes mostly run on simple hydraulic pressure lines. But while this simple braking system works fine on a 3,000 pound car, they won’t handle a big 80,000 pound loaded tractor trailer. On a big truck or tractor trailer, A compressor creates and feeds air pressure to tanks which then put the pressure on the truck brakes. If a driver overuses the brakes, however, air is drained from the compressor faster than the compressor can replenish it. The brakes then have no air pressure to feed them. You now have a runaway truck. This is a problem especially on long descents downhill. A truck driver who overuses his brakes on a long descent down a hill the brakes can simply end up with no brakes. That’s why you see those “runaway” ramps on the sides of highways where you are going down a long hill. At Michaels & Smolak, our tractor trailer and truck accident lawyers serving Syracuse area victims know that big truck and tractor-trailer brake systems are not designed for long periods of braking. The weight of the loaded truck – maybe 80,000 pounds – is too much for any braking system to handle for long periods of time. Tractor trailer drivers are supposed to use their transmission (i.e., low gears) to slow down rather than braking in many circumstances. If an inexperienced or negligent tractor trailer driver uses his brakes down a long hill, instead of keeping his truck in low gear and at a low speed, the brakes – besides having no pressure from the compressor – can overheat which can cause them to lose contact with the drum. The proper way for a tractor trailer to go down a hill is very different than that of a car. The tractor trailer driver should start the descent at a slow speed and then shift into low gear to maintain that slow speed going downhill. The transmission keeps his speed slow rather than the brakes. He does not usually have to touch the brakes at all. This prevents the brakes from – well -- “breaking”. Truck or tractor trailer drivers who misuse their brakes by applying them down long hills are courting danger. Their brakes could give out. They could destroy their braking system. And they could injure YOU and your family. If that happens, whether in the Syracuse area or elsewhere, you are going to need a tractor trailer and truck accident lawyer who understands how brake systems fail and can prove the cause of the accident to a jury or an insurance adjuster. The braking systems on commercial trucks and tractor trailers are simply critical for the safety of the public. That’s why both federal law and New York law have detailed regulations on the use, inspection and maintenance of commercial trucks and tractor trailers. Accidents often happen when truck drivers or their employers cut corners on brake inspections and maintenance to save money or time. Our lawyers won’t let them get away with it. If you or your family member was injury by a truck or tractor trailer whose brakes failed, don’t hesitate to contact of Syracuse tractor trailer and truck accident lawyers. 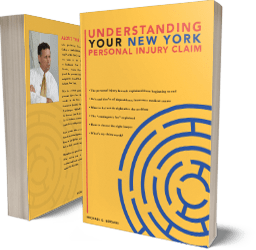 How Do I Prove My New York Tractor Trailer or Truck Accident Injury Case? Why are Commercial Trucks and Tractor Trailers are so Much More Dangerous Than Cars and Why is It Important for Your Lawyer to Understand This? What Should I Do Right After I Have Been Involved in a Commercial Truck or Tractor Trailer Accident? 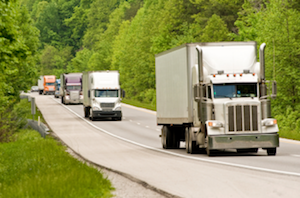 What is Driver Fatigue and How Does it Affect My Tractor Trailer or Truck Accident Case? Is Bad Weather an Excuse for a Truck or Tractor Trailer Driver Who Causes an Accident? How Do I Prove That the Trucking Company’s Poor Maintenance or Lack of Proper Inspections of the Truck or Tractor Trailer Caused the Accident?